Done tongue-in-cheek and yet serious, I created it yesterday. Anyone who has struggled with being a "peacekeeper" or a "fixer" will be able to identify with this. 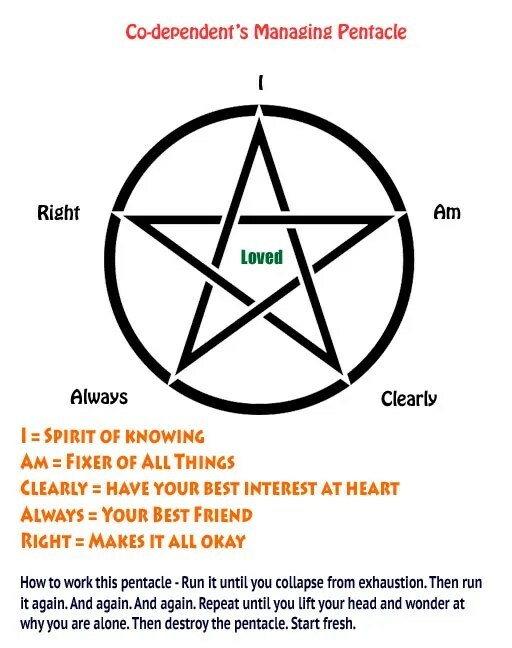 If you’re familiar with running the energy of the Iron Pentacle – well here ya go! A friend is blogging about this. If she allows linking to the post I will do so later. If not – write your own! This entry was originally posted at http://pj.dreamwidth.org/326944.html. Please comment here or there there using your LJ ID or OpenID.